Fleets preparing for the withdrawal of the paper counterpart driving licence – which will officially take place on June 8th this year – have been offered some advice on the process by the British Vehicle Rental and Leasing Association. With the aim of both streamlining the process of managing licensing in the UK, as well as helping to protect the environment by doing away with the need for physical paper counterparts, the Driver and Vehicle Licensing Agency (DVLA) is overseeing this shift. Companies should therefore be prepared for the impact that these changes will have on their compliance processes, with the need to update systems in line with the new licensing standard. 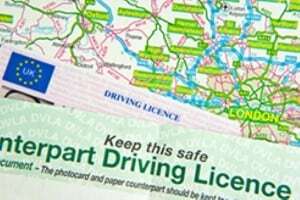 From June 8th, the DVLA will be the UK's only legal source of driver licensing information and will be the only provider of full licensing history for motorists – including all endorsements, penalty points or disqualifications, as well as address and personal history. Three methods for the clarification of driver details will be open to those wishing to find further driver registration information following the introduction of the new licensing system – via a DVLA-accredited driving licence verification service; the DVLA's premium rate telephone service; or the new Share My Driving Licence facility. Share My Driving Licence will be accessible via the gov.uk portal and will enable employers or other bodies to carry out checks on a motorist's details through a one-time-use digital pass code. An area where the abolition of the paper counterpart is likely to have some of the greatest impact is in the vehicle rental sector, where operators presently rely upon these documents to verify a motorist's details prior to leasing them a car. Instead, rental providers will need to rely on the above methods for checking driver personal information – something that in the short-term could lead to difficulties as people will be less than au fait with the new processes, although these problems are only likely to be seen in the short-term.